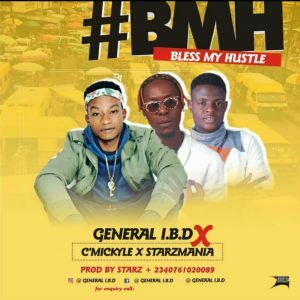 Fast Rising Hip-Hop Artiste General I.B.D has just release a new Song Title “Bless My Hustle” , General IBD’s #BMH is Deep-Husky sound that match the hustler mind-like and it promises to be a banger. On this Song he Featured the Singer And Vocalist By The Name, Mickyle + Starz Mania. All You need To do right now is to Listen on This Young Vibrant Artiste Song, “Bless My Hustle” Was Produced by Starz Mania. My name is Aly and I would like to know if you would have any interest to have your website here at soundloaded.com.ng promoted as a resource on our blog alychidesign.com ?